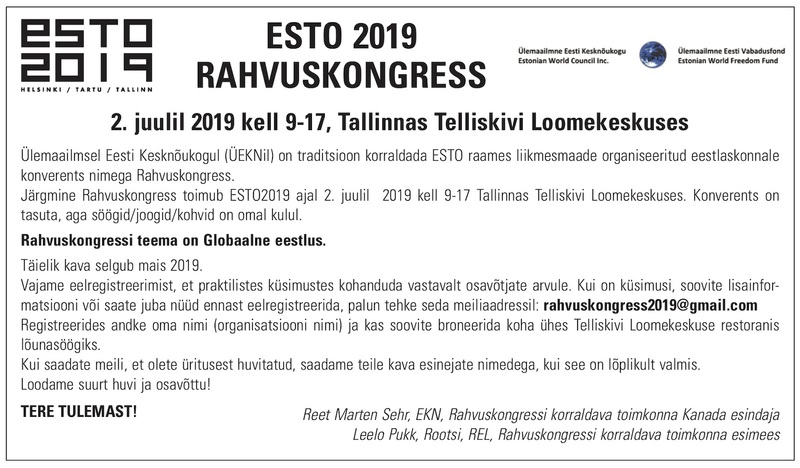 There are a number of consultants – experts in their fields - working on the proposed new Estonian Centre under the direction of architect Alar Kongats, and when/if the go decision is finalized, they will start in earnest. A total of 17 consultants are on board in these key areas: planning, design, legal, real estate and capital campaign. It is important to retain expert guidance on a number of critical components of developing the centre. Cost of the consultants’ work represents approximately 10 per cent of the total project cost. We are introducing three of the design consultants to you this week who themselves have Estonian roots and are very excited to be involved in a project of this caliber. 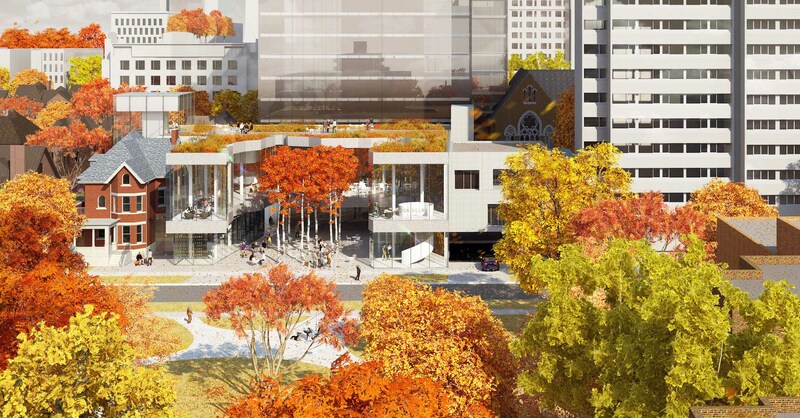 An integral component of the design of the new centre will be the outdoor space, and Alissa and Peter are the landscape architects charged with creating both the street-level urban park that faces Madison Avenue and the rooftop terrace. Their company, North Design Office Inc., specializes in site specific installations, residences and urban public spaces, as well as parks and master plans. They employ a modern design aesthetic and create projects with attention to detail that stands the test of time. Their goal is to design spaces that generate vibrant and resilient communities and environments. Alissa and Peter’s overall goal is to contribute to a green and healthy city that includes a healthy tree canopy. They plan to incorporate birch trees into the design and will incorporate green and sustainable technologies into the project. Alissa is an Associate Professor and the former Director of the Master of Landscape Architecture Program at the University of Toronto. Her projects have been recognized through numerous awards for outstanding design ability. Alissa holds expertise in community consultation and master planning, and the design of parks, urban public spaces, residences, and public installations. Peter’s expertise is in regenerative landscape technologies, specifically within urban environments. His work explores materials, technologies, vegetation communities, and design form to facilitate resilient ecologies and healthy urban environments. He is an Assistant Professor in the Master of Landscape Architecture Program at the University of Toronto. His award-winning projects include art installations, urban waterfront and brownfield remediation, institutional campuses, public parks, urban spaces, streetscapes, and private residential designs. Urban space design at John Street Square and Mirvish village in downtown Toronto and a project called “The Forest,” part of the Liberty Memorial in Ottawa. North Design Office’s park designs include a “forest succession” project at Point Pleasant Park in Halifax, a riverside urban park in Prague and a greenway project along the East River in New York City. All their projects feature a natural, clean and modern design that integrates into the landscape and that is comfortable for people to use and enjoy. Peter is an engineer with Smith + Andersen, a highly regarded consulting engineering firm with offices in Toronto, Vancouver, Kelowna, Calgary, Edmonton, Winnipeg, London. Peter will be preparing a mechanical, electrical and plumbing master plan for the new centre. Founded in 1965, Smith + Andersen provides engineering and design expertise in the communications, security, and audiovisual fields as well as enhanced services such as lighting, building automation systems, and intelligent integrated systems design. Their portfolio includes hospitals, schools, to workplaces and transit stations. One of the interesting projects this company has been involved in recently is an award-winning revitalization project at Berczy Park in downtown Toronto, located across from the St. Lawrence Centre for the Performing Arts, next to the iconic “flatiron” building that borders Front. St.
Smith + Andersen provided lighting, mechanical, and electrical services for this park, which features a two-tiered cast iron fountain in a 19th century design. The whimsical design has unique water spouts that feature intricately crafted dog sculptures. The design was created by Montreal-based designer Claude Cormier of Claude Cormier et Assocés. The project team for the Aaniin Community Centre and Library in Markham’s vibrant multi-cultural population included experts from Smith + Anderson. They acted as the mechanical consultants and their sustainability division Footprint provided energy modelling expertise. This innovative development features studios, a teaching kitchen and sensory room with calming light displays. Mikk is a Senior Engineer in Acoustics, Noise and Vibration at RWDI. He is the engineer who will control the level of noise and vibration that will be transmitted into the building, the interior acoustical design of the building, and also the noise impact of the new centre’s operation on the neighboring community. With respect to the TTC subway line, vibration mitigation design will be implemented to deal with any of these effects. Despite being on the TTC line, Mikk said that the vibration measurements he took on the property indicate that the levels only marginally exceed the TTC’s criterion (this result is similar to that of other nearby developments on the TTC line). Many buildings in the downtown area, including the Four Seasons Centre for the Performing Arts (home of the Canadian Opera Company and National Ballet of Canada) are built on the subway line. Construction is designed in such a way as to mitigate effects of any noise or vibration. RWDI is a leading Canadian consulting engineering firm specializing in building performance, climate engineering and environmental engineering in a variety of areas, including industrial, institutional, commercial, office and residential spaces. RWDI has one of the largest acoustics, noise and vibration capacity of any specialty consulting firms in Canada, with resources in RWDI’s Victoria, Vancouver, Calgary, Guelph, and Toronto offices. Some of RWDI’s recent and ongoing acoustics projects include The Ottawa Art Gallery (OAG) Expansion and Arts Court Redevelopment project – The $100M expansion includes exhibition and curatorial spaces, event and educational space, a café, and a gift shop, for which RWDI was the acoustical consultant. Currently RWDI is working to finish up the Ryerson University Centre for Urban Innovation (RCUI) - RWDI is the Acoustics, Noise, LEED and Energy Consultant for the $20M renovation of a heritage property on the Ryerson University campus in Toronto. The space has been re-designed as a start-of-the-art research facility while preserving the character and distinctive features of the original 19th-century building.